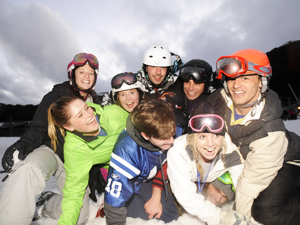 Get ready and get set for Uni Week 2014 to hit Thredbo from the 14th to the 18th of July. University students will descend on Thredbo from all over the country for one jam packed week of skiing, boarding, Uni Games race training, partying and apres. Develop your freestyle skills in Thredbo’s new terrain park, hit the rails, race slalom, practice moguls, attack the Big 5 – Australia’s longest runs, explore the cross country trails, try twilight riding, go tubing, make snow angels in our new snow play area, and continue the festivities off the slopes in style. There’s no doubt, you’re getting bang for your hard earned bucks in this year’s stellar line up of adrenaline pumping action. June Snowfalls in Thredbo take the L.O.T. Index off the chart. Thredbo July Weekend and Midweek Deals on now.